This workshop will run from 12.30 to 4.30pm, with lunch provided. Please contact Donna Baillie (see below) if you would like to attend. Digital Research and Editing Environments offer humanities researchers the opportunity to extend the range of methodologies open to them through the use of advanced online text analysis tools. However, their adoption remains highly localised and unevenly distributed because of, among other things, lack of awareness, the inappropriate configuration of editing tools, lack of institutional support, and the instability and unfamiliarity of interfaces. For those attending the workshop, issues arising from the speakers’ presentations will be discussed in an ‘Ideas Café’, which will be followed by an open discussion session. While this workshop will be particularly useful for practitioners currently working on or with Digital Research and Editing Environments, the IHR actively invites contributions from researchers and scholars who may have further observations, experience of, or different insights into the adoption of these new tools and technologies. Parts of the workshop will be live streamed through the IHR’s History SPOT service, with an option to contribute in real time, allowing interested parties who cannot attend to ask questions during the open discussion. Mark Hedges is Deputy Director of the Centre for e-Research (CeRch) at King’s College London, and prior to this was Technical Manager at the Arts and Humanities Data Service (AHDS#. Mark took the lead in the planning, design and development of the repository-based infrastructure to support the curation, preservation and delivery of the diverse and complex digital resources managed by the AHDS, and since October 2007 he has been extending the scope of the work to providing a comprehensive, cross-disciplinary research infrastructure for King’s. Rob Iliffe is the Director of the AHRC Newton Papers Project with an overall responsibility for completing the online publication of all four million words of Newton’s Theological Papers. He is also responsible for extending the scope of the original project to include dealing with Newton’s scientific and mathematical work. Rob gained his PhD from Cambridge University and is currently Professor of Intellectual History and the History of Science at the University of Sussex. He is the author of A Very Short Introduction to Isaac Newton #Oxford: Oxford University Press, 2007#, and has published extensively on early modern history and the history of science. He is currently completing a major work on Newton’s theology for online release. Philip Schofield is Professor of the History of Legal and Political Thought, Director of the Bentham Project, Chair of the Bentham Seminar, and General Editor of the Collected Works of Jeremy Bentham. In 2010 the Bentham Project was awarded a Digital Equipment and Database Enhancement for Impact #DEDEFI) Award from the AHRC to launch the Bentham Papers Transcription Initiative, or Transcribe Bentham for short. The Bentham Project, in collaboration with the UCL Centre for Digital Humanities, the University of London Computer Centre, UCL Library Services and UCL Learning and Media Services, has created a Transcription Desk where volunteer users can log-in and transcribe previously unstudied and unpublished manuscripts from the Bentham Papers collection in UCL Library’s Special Collections. Jane Winters has been Head of Publications at the Institute of Historical Research since 1999, and of the new IHR Digital since the autumn of 2010. She is responsible for the IHR’s publishing and scholarly communications strategy, including the management of a range of research projects focusing on the provision of digital resources for historians. Currently, she is Co-Director of the JISC-funded Connected Histories project; Principal Investigator of the AHRC-funded Early English Laws project to digitize Anglo-Saxon legal texts; and Publishing Editor of the Bibliography of British and Irish History. She is also Executive Editor of the IHR’s journal, Historical Research. Posted by: Donna Baillie (donna.baillie@sas.ac.uk). This is a reminder that we are running a comprehensive 5 day Summer School in Digital Humanities this summer. It takes place from July 25th-29th, at Oxford University Computing Services and Wolfson College. The summer school introduces a range of digital research components to researchers, project managers, research assistants, or students working on any kind of project concerned with the creation or management of digital data for the humanities. 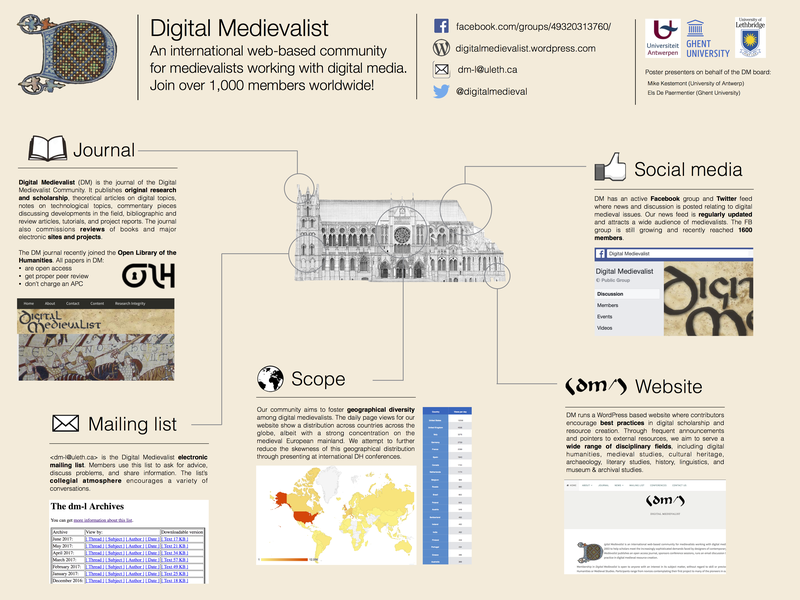 Please visit http://digital.humanities.ox.ac.uk/DHSS2011/ for details. The summer school is a collaboration for Digital.Humanities@Oxford between Oxford University Computing Services (OUCS),Oxford e-Research Centre (OERC), e-Research South, and Wolfson College Digital Research Cluster, under the direction of Sebastian Rahtz and Dr James Cummings at OUCS. • Getting funding: quality, impact, sustainability. Posted by: James Cummings (dhss@oucs.ox.ac.uk). What are the issues that researchers in the Humanities face when compiling data, and how can technology help or hinder? This workshop will look at the ways in which humanities researchers build, maintain, and preserve databases, along with the processes currently in place to support such activities. It will consider what tools could be developed to support the creation and use of research data, how data from different sources might be linked, and, where relevant, the role that public or private cloud services might play. The workshop will be primarily concerned with the processes of creating databases for humanities research. As such it will be of interest to humanities researchers who are working with or considering developing research databases and who wish to stay abreast of the latest developments and opportunities. It is also likely to appeal to technologists involved in the provision of research services. We hope to provide a forum in which ideas can be exchanged and new approaches to humanities data illustrated. The workshop is being organised as part of the Sudamih Project (Supporting Data Management Infrastructure in the Humanities), funded by the JISC. Date: Friday 21st January, 2011. Location: Rewley House, 1 Wellington Square, Oxford, OX1 2JA. A buffet lunch will be provided from 12 noon, with the workshop itself commencing at 1pm and concluding by 4:45pm. There is no charge for attending the workshop. Posted by: James A J Wilson (james.wilson@oucs.ox.ac.uk). Computer Science has played a critical role in many areas of inquiry, but nowhere are the potential implications greater than in the Humanities. We are transforming the ways in which we can relate to the past and understand the relationship of that past to the world in which we live. We need a new generation of researchers who can develop new methods from the computational sciences to advance the intellectual life of humanity. The presence of the Perseus Project (http://www.perseus.tufts.edu) at Tufts since 1992 has allowed Tufts play a significant role in the emerging field of Digital Humanities. The Tufts Department of Computer Science (http://www.cs.tufts.edu/) now provides unique opportunities for emerging researchers with an interest in the Digital Humanities to develop those interests within the department of Computer Science, combining rigorous course work with opportunities to develop projects relevant to various areas within the humanities. Tufts can support a wide range of backgrounds and career goals. Undergraduates at Tufts and elsewhere with an interest in Digital Humanities are encouraged to combine either a major or a minor in Computer Science with another area of the Humanities. Such a combination will provide a foundation for undergraduate research projects of tangible value. Students who have a strong humanities background and wish to develop a rigorous foundation in Computer Science for subsequent Digital Humanities work are encouraged to consider the Post-Baccalaureate Minor Program in Computer Science (http://www.cs.tufts.edu/academics/cs_minor_grad). The Post-Bac CS Minor will enable students either to pursue subsequent graduate work in Computer Science or lay the foundations for Digital Humanities research within a graduate program in the humanities. More advanced students may consider the Masters Program in Computer Science. This can either lead to a Phd program in Computer Science or an area within the Humanities but it can also prepare students for work developing the digital infrastructures within libraries, cultural institutions, and major media. The Tufts Phd Program in Computer Science provides a framework in which students with a strong background in some area of the Humanities can develop research and teaching agendas that bridge the gap between Computer Science and areas within the Humanities. A Phd in Computer Science at Tufts can give you a unique position in revolutionizing the intellectual life of humanity. More information will become available with an update on http://www.cs.tufts.edu. For more information, students can contact digitalhumanities@cs.tufts.edu. Posted by: Daniel Paul O’Donnell (daniel.odonnell@uleth.ca). The Institute of English Studies (London) is pleased to announce the third year of this AHRC-funded course in collaboration with the University of Cambridge, the Warburg Institute, and King’s College London. The course is open to arts and humanities doctoral students registered at UK institutions. 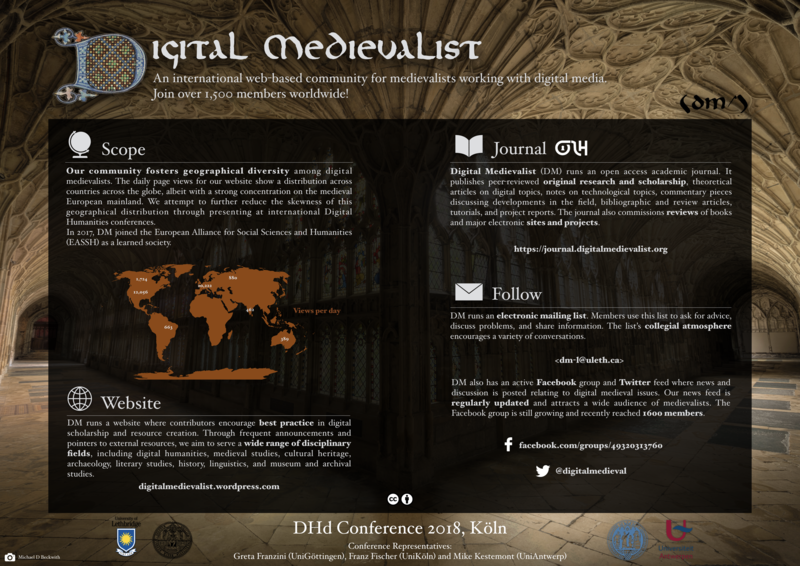 It involves five days of intensive training on the analysis, description and editing of medieval manuscripts in the digital age to be held jointly in Cambridge and London. Participants will receive a solid theoretical foundation and hands-on experience in cataloguing and editing manuscripts for both print and digital formats. The first part of the course involves morning classes and then visits to libraries in Cambridge and London in the afternoons. Participants will view original manuscripts and gain practical experience in applying the morning’s themes to concrete examples. In the second part we will address the cataloguing and description of manuscripts in a digital format with particular emphasis on the Text Encoding Initiative (TEI). These sessions will also combine theoretical principles and practical experience and include supervised work on computers. The course is aimed principally at those writing dissertations which relate to medieval manuscripts, especially those on literature, art and history. There are no fees, but priority will be given to PhD students funded by the AHRC. Class sizes are limited to twenty and places are ‘first-come-first-served’ so early registration is strongly recommended. For further details see http://ies.sas.ac.uk/study/mmsda/ or contact Dr Peter Stokes at mmsda@sas.ac.uk.